These end Cap feature carbon steel construction and are suitable for use in HVAC, chemical refineries, fertilizer and petrochemical plants and in gas, oil and water transmission systems. These 45Deg elbows feature carbon steel construction and are suitable for use in HVAC, chemical refineries, fertilizer and petrochemical plants and in gas, oil and water transmission systems. 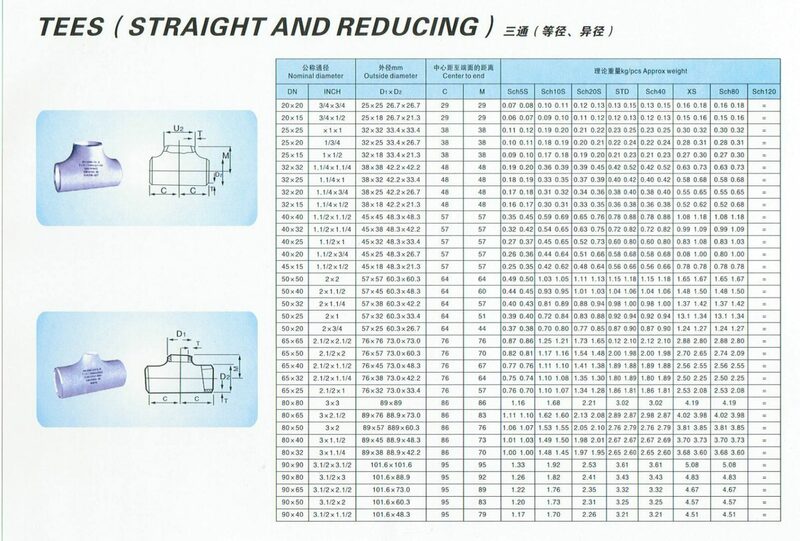 These reducing Tee feature carbon steel construction and are suitable for use in HVAC, chemical refineries, fertilizer and petrochemical plants and in gas, oil and water transmission systems. These Equal Tee feature carbon steel construction and are suitable for use in HVAC, chemical refineries, fertilizer and petrochemical plants and in gas, oil and water transmission systems.